The National Immunisation Program Schedule currently lists 16 infectious diseases. At St George Family Medical Centre – Wagga Wagga GP, we encourage all patients, young & old to have their annual Flu Vaccination carried out. Even healthy people can catch & spread the flu bug. What is influenza & how is it transmitted? Influenza is a viral infection caused by influenza types A, B or C. The virus is transmitted by virus’ containing aerosols produced by coughing, sneezing or be direct contact with respiratory secretions. Persons with influenza may experience fever, cough, sore throat, fatigue, muscle aches, headaches, running nose, sneezing & chills. Children may also experience vomiting and diarrhoea. No, Influenza Vaccines will not give you the flu as the vaccines available in Australia do not contain ‘live ‘virus. 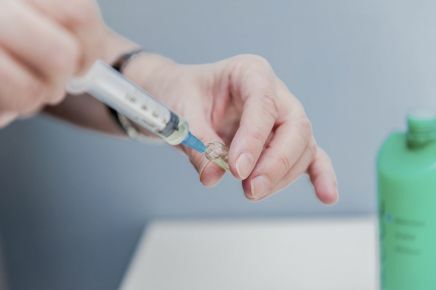 After vaccination the person will develop antibody levels that are likely to protect them against the strains of the virus represented in the vaccine. Vaccination is best undertaken in Autumn (March – May) in anticipation for Australia peak flu season with is usually between June & September. Does the Flu Vaccine work straight away? No, protection is usually achieved within 10-14 days of vaccination and there is evidence of increased immunity within a few days. Vaccination is the most effective protection against influenza. For further information on flu vaccinations please do not hesitate to speak with your friendly doctor.